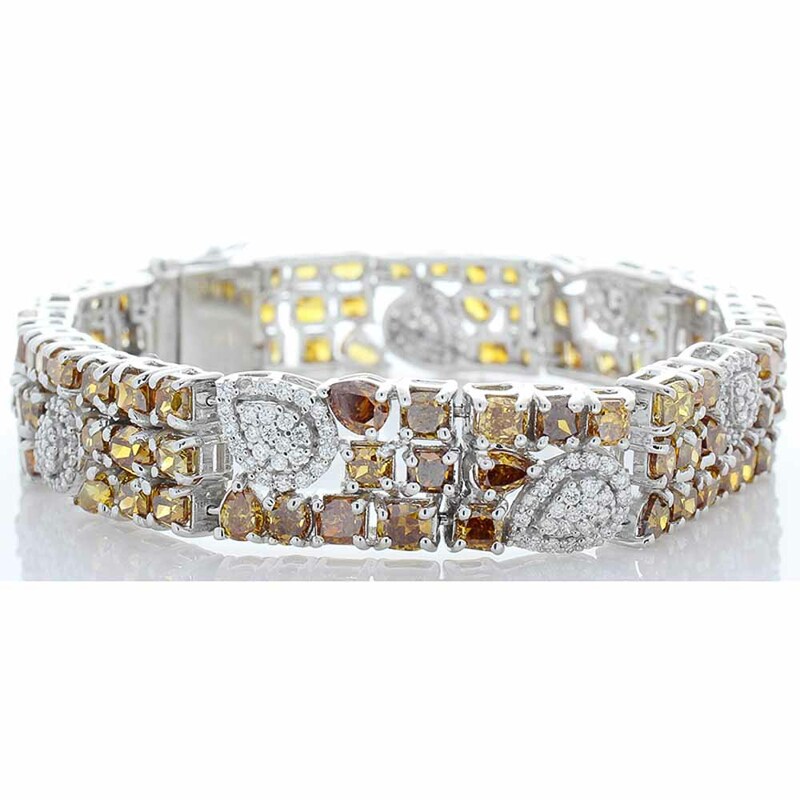 This is a distinct all-diamond bracelet holding 96 natural fancy intense to deep orange-brown diamonds totaling 25.66 carats. Designed for color contrast, 289 round brilliant cut white diamonds totaling 2.05 carats could not have harmonized any better. Skillfully set in brightly polished 18 K white gold, a hidden slide clasp secures this incredible tennis bracelet for your convenience. This piece is ideal for anyone wanting originality.